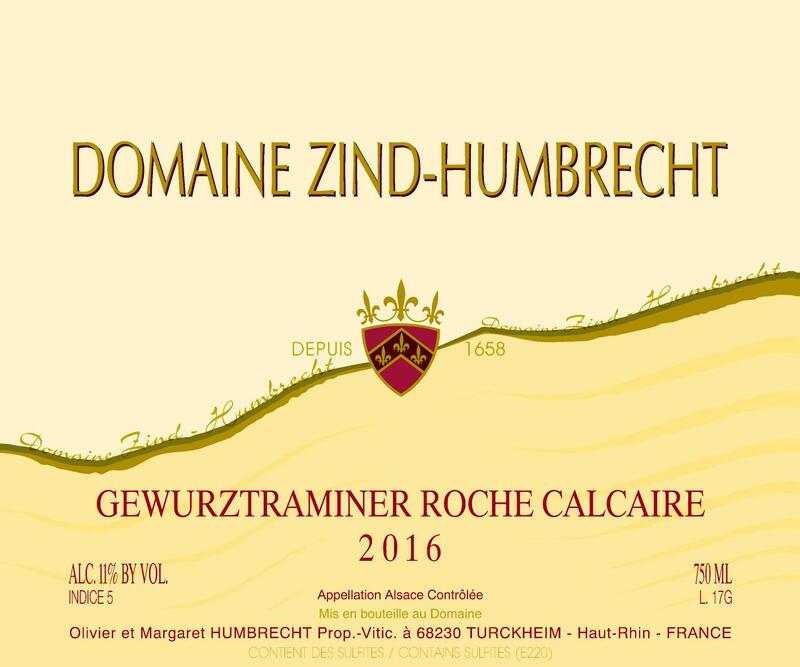 Two lots of Gewurztraminer Roche Calcaire? Well, this one originates from the Goldert Grand Cru. 2/2018: bright yellow colour. Beautiful ripe fruity nose (mango, litchi, passion fruit…), the floral expression is delicate and subdued. The sweetness is obvious on the nose, and the palate, without surprise, is elegant, coats the mouth with a velvety sweetness. The finish is smooth and the wine persists for a long time. It is a very sweet wine that has a gentle and silky feel. It is hard to believe, but the potential ripeness was just under the Vendange tardive level, but it behaves like one! This is a perfect dessert wine, but because the alcohol is low, it also will go very well with rich spicy food and aperitifs.